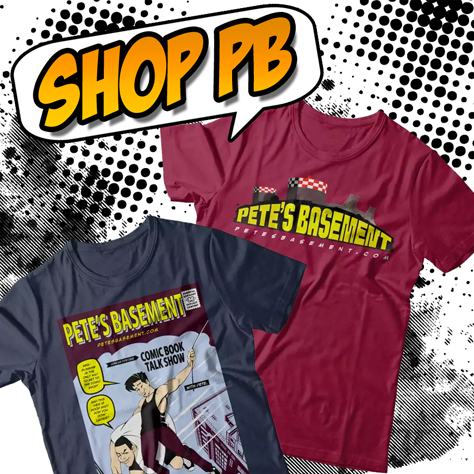 It's a jam-packed episode of Pete's Basement this week! Just HOW jam-packed, you ask? Not only do we have Trish on to talk about her production company, Gates of Serenity's first short film,"Mr.Wonderful," about two serial killers, we also have two - count 'em - TWO interviews! Long-time Basement fans Michael Van Cleve and Nick Melanshek join us, showing off their creator-owned properties! Mike's "Child of the Sun" is an epic tale of the Biblical strongman Samson, and the woes of a broken heart. Nick's futuristic story Whitecell: Inoculation details the adventure of a black-ops soldier named Ghost on a mission to cure a plague that has wiped out most of humanity! We've got some more Deadpool talk, as well as a pretty damn good week in comics, too! Find out what the Crew thought of Kennel Block Blues from BOOM Studios, King's Road from dark Horse, and Power Man and Iron Fist from Marvel, to name just a few. Seriously, how have you not hit the play button yet? 01:10:35 - Alfred Isn't a Butler?? 01:11:55 - Why Doesn't DC TV Connect to the Movies? 01:13:55 - MCU: To Infinity War! And Beyond! 01:35:02 - Who Should Play Cable? 01:39:19 - What's Happening on Agent Carter?